So you are ready to tackle that much needed home remodel. Perhaps you have an outdated kitchen, a floorplan that doesn’t work for your lifestyle, or just need more space for your growing family. 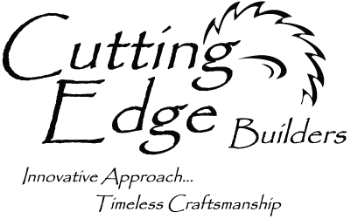 The first decision that must be made by you is whether you start with an architect or with a design/build remodeling contractor like Cutting Edge Builders. Based on our extensive experience with designing and completing all types of remodeling projects in the Grand Rapids metro area and all over West Michigan, we recommend starting with a design/build remodeling contractor. The first step is to create custom drawings. These drawings provide you with a tangible vision of your project—we take your ideas and put them on paper. In addition, these drawings provide an avenue for dialogue between us and you so we can fully understand the scope of your project and make sure we are on the same page. Finally, these drawings allow us to give you the most accurate price for your project by truly understanding your expectations for fit and finish and other specifications. Unlike most general remodeling contractors, we have an in house designer who will listen to your goals and work closely with you to design a solution to achieve those goals whether it is an updated look, a better flow, more space or all of the above. By working with a design/build remodeling contractor such as Cutting Edge Builders you will save significantly over much higher architect fees. You will also be interacting early on with the remodeling contractor who will actually be putting the project together later which often results in better value through us suggesting less costly ways to achieve your goals based on over a decade of experience with design/build. We welcome the opportunity to share our design/build experience and expertise with you and through this process, earn your trust and eventually the remodeling work. We are confident we will meet or exceed your expectations throughout the design/estimating process as well as through the construction of that design.